From its beginnings, the Mormon Church has been a missionary oriented church, sending out missionaries to all parts of the world. 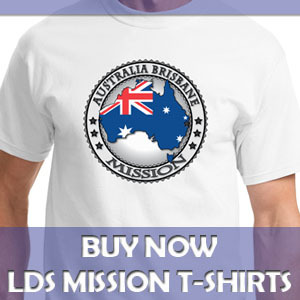 Perhaps you have wondered why the Church asks so many missionaries to serve a Mormon mission? And perhaps you have also wondered why so many young people (and some older missionaries too) are willing to put their life on hold and work to spread the gospel? 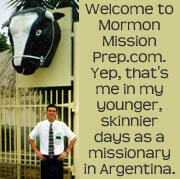 I thought I would devote today’s post to explaining why Mormon Missionaries serve. Missionary work is a commandment from the Lord. When the resurrected Jesus Christ met with his apostles he said, “Go ye therefore, and teach all nations, baptizing them in the name of the Father, and of the Son, and of the Holy Ghost.” (Matt. 28: 19) The Lord has reiterated that commandment in modern times when he said to Joseph Smith the Prophet, “Behold, I sent you out to testify and warn the people, and it becometh every man who hath been warned to warn his neighbor” (Doctrine & Covenants 88:81). When we experience the blessings of living the gospel of Jesus Christ, we naturally want to share those blessings with others. The Lord spoke of the joy that comes into our lives when we sha re His gospel when he said, “Remember the worth of souls is great in the sight of God…And if it so be that you should labor all your days in crying repentance unto this people, and bring, save it be one soul unto me, how great shall be your joy with him in the kingdom of my Father!” (D&C 18:10,15). Why I Served My Mission? 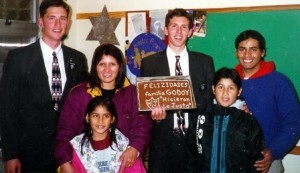 I served a full-time mission for the Church in Rosario Argentina from 1995 to 1997. Prior to my mission, there were several factors to contributed to why I wanted to serve. I had been raised in the Church and had actively participated in Church activities all of my life. I believed the teachings of the Church to be true. 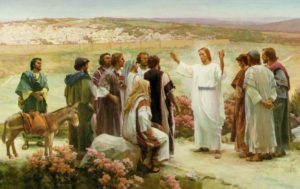 I knew Christ was my Savior, and that the Mormon Church was His Church. I know Joseph Smith was a prophet and that the Book of Mormon was the word of God. I knew I had a priesthood duty to share the gospel with others. During the mission, my reasons for serving grew and developed. The reasons above are more in line with the commandment to do missionary work, but as I was engaged in the work, the joy of missionary service took over. 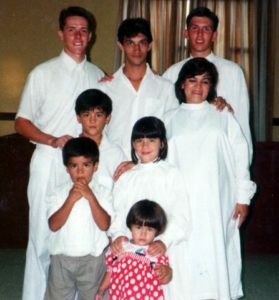 I realized that I had been called to serve a mission to bring the joy of the gospel to the Almada family in Parana, Argentina, and the Godoy family of Rosario, and dozens of other individuals and families. Helping these people to know of the blessings of the restored gospel of Jesus Christ, of the reality of our Heavenly Father, and of the eternal joy of family life, not only helped them, it also brought me joy and satisfaction beyond description.